A colorful mix of flowers, asters, carnations, & chrysanthemums trimmed by greens, is tied with a bow to create a topiary-inspired arrangement delivered in a wicker basket. Its garden charm makes it a refreshing accent to a table or desk. 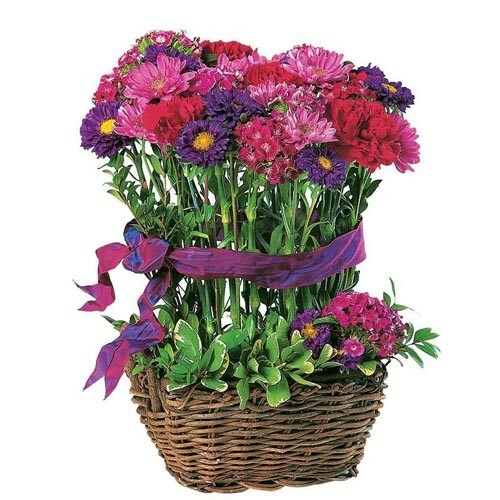 Quantities A colourful mix of flowers, asters, carnations, & chrysanthemums, is tied with a bow and delivered in a wicker basket.